The China–Cornell–Oxford Project, more colloquially known as the China Study, was a large-scale, 20-year long investigation in inhabitants of China that sought to investigate the potential benefits of diet on general health and longevity.1,2This study was conducted across Cornell University (New York, USA), Oxford University (United Kingdom), and the Chinese Academy of Preventative Medicine (China). It was publicized widely, most notably in a book titled The China Study, by Dr. Colin Campbell that was first released in 2005. To sum it up, the China–Cornell–Oxford Project found overwhelming evidence that a vegan diet (no animal products) led to lower rates of chronic diseases such as heart disease and cancers, compared to non-vegan diets. Of course, a large scale study making sweeping claims touting an unconventional diet doesn't come without criticisms across the world. The China–Cornell–Oxford Project brought about major debate among the scientific community, and to this day it still is not clear which diet is "best" for maintaining health. 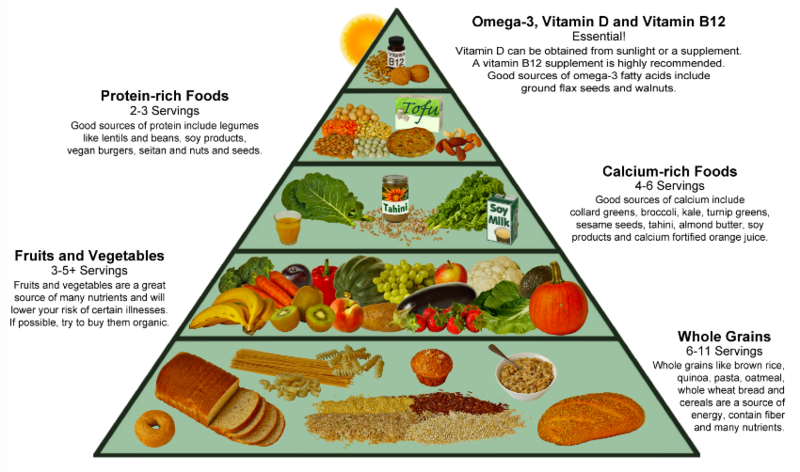 Is a vegan diet, devoid of animal-derived nutrients, good for you? The China Study was one of the most rigorous studies delving into long-term health effects of a primarily plant-based diet. In summary, the China Study found that plant-based diets were correlated with lower rates of heart disease and lower rates of cancer in the Chinese population. This study was phenomenal in that it followed participants over a long period of over 20 years. While similar studies have not been done on other parts of the world, such as the Western world, they should be an area of focus in future research. It can very well be seen that non-Chinese populations, such as the Western population, would be better off consuming a non-vegan diet. For now, let's look at some key findings from the Chinese population. One major finding from the China Study is that those people who consumed diets higher in protein exhibited higher rates of heart disease. The China Study's lead investigator, Colin Campbell, has persistently harped on the idea that large amounts of protein are not needed for basic sustenance. Specifically, it is argued that 0.8 gm of protein per kg of body weight per day are all that is needed, as this amount of protein would take care of the body's daily nitrogen requirement. This translates to 48 g/day for a female weighing 60 kg, and 56 g/day for a male weighing 70 kg.6This can be supported by the strong profile of Chinese individuals who had an average intake 64 g protein per day. Of course, you can easily poke holes in Campbell's analysis. There are counterarguments abound against pursuing a vegan diet. High protein diets have been used in various subsets of people to optimize their health, including epilepsy patients, athletes and bodybuilders, and people trying to lose weight. Furthermore, Campbell's China Study lacks adequate coverage of the growing body of research that shows that high fat diets (i.e. ketogenic diets) can help to prevent future developments of cardiovascular disease, obesity and metabolic syndrome. While Campbell argues that large amounts of protein is not required for sustenance, there are many studies that have shown that diets high in protein have been successful increasing muscle mass in athletes and other adults. High protein diets are amenable to muscle growth, which is important for athletes. Athletic activity can lead to increased release of hormones including testosterone, which are play a vital role in longevity and maintenance of energy levels. Cholesterol levels are important because scientific literature shows that high levels of cholesterol can be linked to heart disease, metabolic syndrome and cancer. However, some of this logic conflicts with evidence that diets high in fat (e.g. ketogenic diets) can be helpful for alleviating conditions such as neurological diseases like epilepsy. Furthermore, high-fat, low-carbohydrate diets that are naturally high in cholesterol, have been shown to be effective for weight loss. As weight loss is highly correlated with lower rates of heart disease, hypertension, and other metabolic conditions, the power of ketogenic diets should not be overlooked. Campbell's China study seemed to gloss over this phenomenon; future research studying different diets in populations at risk for conditions like heart disease may help to elucidate the problem of cholesterol in diets with respect to development of chronic diseases. The China Study did a good job of showcasing the preventative health potential of a plant-based diet. 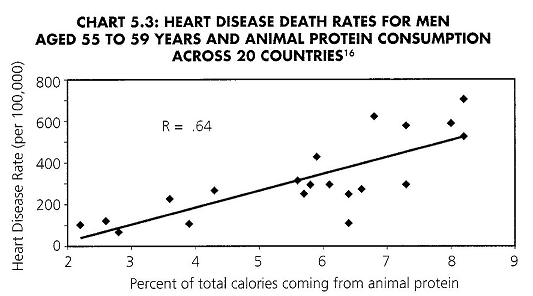 However, people should not ignore the research on animal-based diets, high protein diets, or high-fat diets. Unfortunately, there is no correct answer as to which diet is best. For every study touting the significant potential of a plant-based diet, there is a study that supports a ketogenic diet high in proteins and fat. It is my strong opinion that the best diet for any given person should be determined based on his genetic profile. Therefore, it is not worth arguing in favor of a specific diet, but rather one should determine the best diet for himself based on his physiological tolerance and metabolic goals. Moving forward, humans should make an effort to track their progress no matter which dietary plan they take, and research should dive deeper and seek to understand why certain individuals thrive on some diets better than others. Chen, J., Campbell, T. C., Li, J., Peto, R., Boreham, J., Feng, Z., & Youngman, L. (1990). Diet life-style and mortality in China: a study of the characteristics of 65 Chinese counties. Campbell, T. C., & Junshi, C. (1994). Diet and chronic degenerative diseases: perspectives from China. The American journal of clinical nutrition, 59(5), 1153S-1161S. Liu, L. (2007). Cardiovascular diseases in China This paper is one of a selection of papers in this Special Issue, entitled International Symposium on Recent Advances in Molecular, Clinical, and Social Medicine, and has undergone the Journal's usual peer-review process. Biochemistry and cell biology, 85(2), 157-163. Lamon-Fava, S., Wilson, P. W., & Schaefer, E. J. (1996). Impact of body mass index on coronary heart disease risk factors in men and women the Framingham offspring study. Arteriosclerosis, thrombosis, and vascular biology, 16(12), 1509-1515. Lipids in Health and Disease. Cordain, L., & Campbell, T. C. (2008). The protein debate. Catalyst Athletics.